I was struck, mainly in Ubud, by the amount of women begging on the streets. Women that often had children with them, which I had every reasons to believe were theirs. However, no matter how sorry I felt for them, I never gave them money. That is a personal choice. Since I can’t tell if the money will better their situation or not, I refrain from handing out charity that could be misused. Last thing I would want is to contribute to a bigger problem. Also, since the funds I can give away are limited, I would want to make sure they have the most impact. 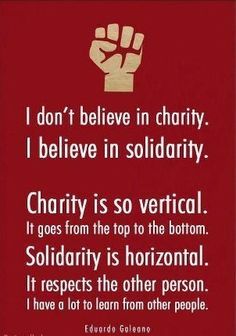 Which is why I prefer contributing to concrete social solidarity projects. I had to keep reminding myself of this as I witnessed some very poignant poverty. I spoke to Arya about this and I was horrified when I was informed of the reality of it. Bali has organized begging rings. These women actually have “agents” who decide the repartition of the begging women. When the women come back at the end of the day, they hand in the collected money in exchange for food, shelter and protection. Remember, the children I mentioned? They are not theirs. The women actually rent these children to boost the money they get. In Bali, school is mandatory at the elementary level. This explains why women only beg with newborns, toddlers and preschool children. The begging situation in South East Asian countries and Indonesian countries is complex. I spoke with a fellow traveler who recounted a trip to Vietnam, where she witnessed babies being drugged to look amorphous and sick, because they could bring in more money this way. I consider this to be a very good example of why tourist need to be aware of every action they take and their consequence. It wouldn’t do to inadvertently contribute to a bigger problem while trying to do good.